What is a coconut flower? The Coconut tree/palm is one of the oldest flowering tree in the world, the coconut flowers blossom only after 7 to 10 years depending on the species. The bud splits open as the flowers are growing, the several branch have hundreds of tiny male flowers which look like lilies and few female flowers which look like small coconuts. Flowering occurs continuously and with the help of the insects and wind the male flowers pollinate the female flowers. Once the female flowers are pollinated, they become coconuts after a period of 10 months. 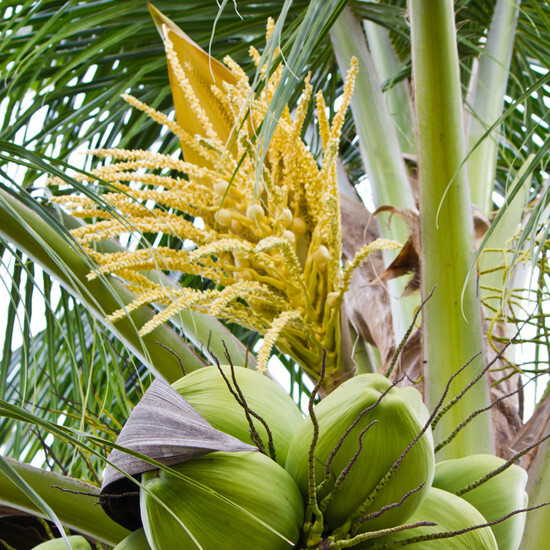 The nectar / sugar is extracted from the coconut flowers after pollination, which takes us to the next story. 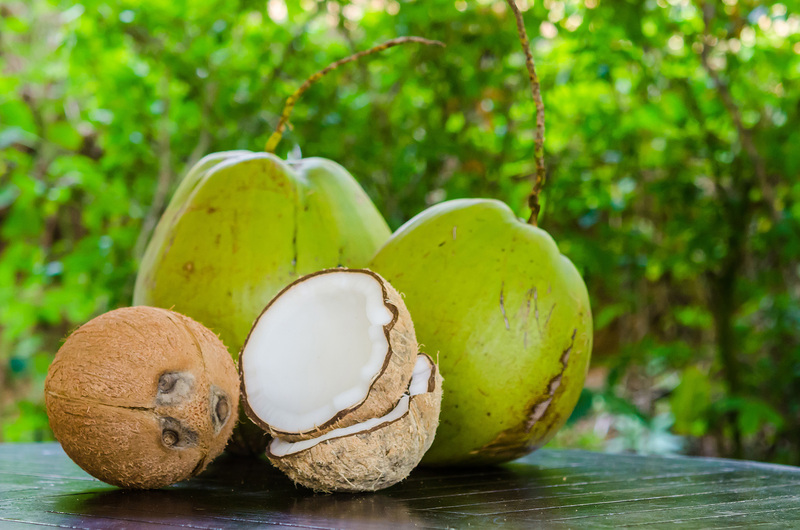 What is a coconut flower nectar? The modern coconut as we know it was known to have existed 37 to 57 million years ago during the Eocene Period in India and Australia. The origin of the coconut plant is the subject of debate since some scientific research suggests the Pacific Ocean or Indian Ocean. While others see the origin in north western South America since the ‘Nipa’ fruit which is one example of an older palm fossil that has been found. Coconut palms are the most familiar palm from the tropic which used to be a wild plant and has been spread by human activity and currents in the ocean. In the present day it has become a part of everyday life in many places for its resources like food, shelter and fuel. Coconuts were even used as currency for the purchase of goods right up till the beginning of the 20th century, on the Nicobar Island (Indian Ocean). Coconut palms were mentioned in written scripts 2,000 years ago in India.